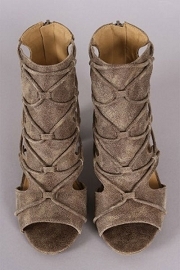 Faux suede booties. 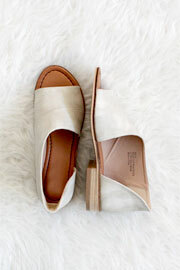 Stacked low heel. 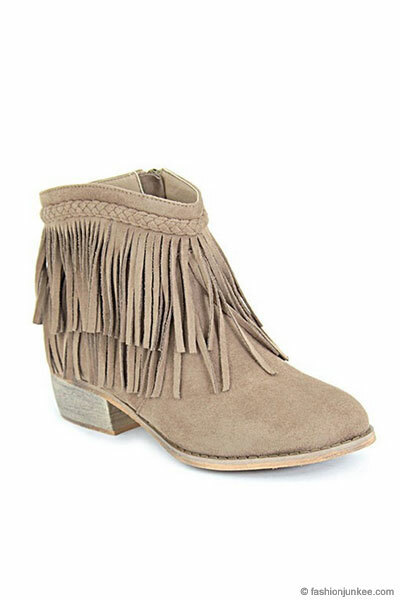 Braided detailing at the top of the shoes with two rows of fringe accents for a boho touch. Faux suede material. Pairs perfectly with a boho dress or distressed jeans. Complete your look in these lust-worthy bohemian booties. High quality faux suede material.